to Become an Iron Phi. Iron Phi participants have done some pretty incredible things to raise money for ALS research and Phi Delta Theta’s leadership development initiatives. What will you do? Becoming an iron phi is easier than you may think! Determine your Iron Phi athletic challenge and setup your customizable fundraising page through our registration process. Spread the word about your Iron Phi effort and watch the donations come in. The more people you tell, the easier it’ll be to reach the $1,000 needed to become an Iron Phi. Our fundraising system helps! When you have raised $1,000 and completed your Iron Phi athletic event, you have successfully become an Iron Phi. We promise that you’ll be proud of the great work that you have done to help others. We Do It For Lou. 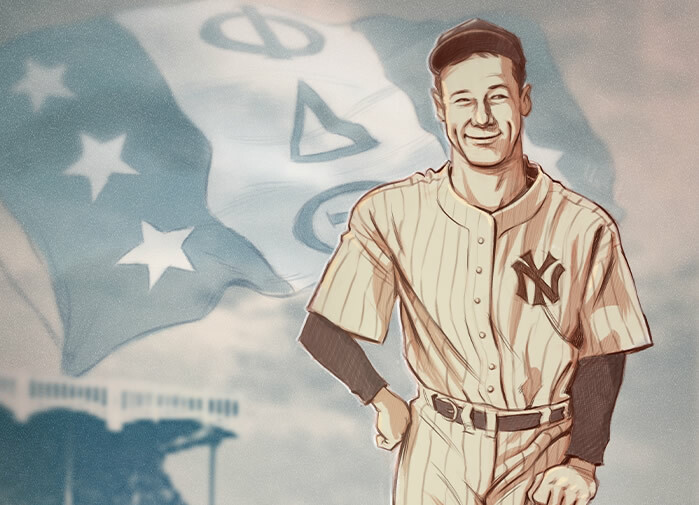 Lou Gehrig was a member of Phi Delta Theta Fraternity’s Columbia University chapter. The Fraternity and its members take pride in supporting the work being done to find a cure for Lou Gehrig’s Disease (ALS).